We’re into the off season for many ultimate players now, and that means questions about ultimate frisbee lifting routines are trending in my inbox and in online forums. Every year, I get emails from ultimate players asking, “is [CrossFit, Bodypump, 5/3/1, Starting Strength, Olympic lifting, bootcamp] good training for ultimate? A good example is this recent discussion thread on reddit about using a 5/3/1 program for off season training. Of course, it’s critical to include strength training in your ultimate frisbee training schedule all year long. If I could get ultimate players to understand just one thing, it would be that there is not one type of workout, program, or strength training that is best for ultimate. Rather, you’ll get the best improvement in your ultimate game if you know the purpose of various training protocols and how to use them together in a long-term, ultimate-specific training plan. If you'd like a long term, ultimate-specific plan done for you, check out The Ultimate Athlete Project. How is strength training for athletic performance different from lifting for general fitness? If you enter a strength and conditioning facility, you will see two types of people: gen pop (general population) and athletes (like you!). For gen pop, the goal is almost always related to body composition—how they look. They will either be targeting weight loss (this is almost always assumed to be the goal for women, whether they’ve said so themselves or not) or increased muscle mass or muscle definition. Gen pop folks want evidence of a job well done. They want to leave the gym feeling like they’ve accomplished something that day. Some soreness the next day is further “evidence” that they are working toward their goals. The gym or personal trainer will feel pressure to provide the types of experiences that keep the gen pop clients coming back for more. I want you to know the difference between a gen pop mindset and an athletic performance mindset. Almost any training program you get online or from a magazine will be designed with general fitness in mind. But it you want to train for ultimate, you need an athletic performance program. You don’t want to be in the gen pop category. If you are a woman with athletic performance goals, you will need to advocate for yourself and be especially wary of programs “for women” or those published in women's fitness magazines. How suitable are strength training programs for ultimate? With so many different strength training programs, or protocols, out there, it’s understandable that ultimate players are unsure about what’s best. We’ll examine the most popular general fitness protocols here and see how well they will work for your ultimate frisbee training. Will a bodybuilding program make me better at ultimate? What is general strength training? General strength or bodybuilding programs are generally high-volume protocols with the goal of increasing muscle mass and changing the way your body or your muscles look. For men, the goal is mostly about increasing muscle mass. Women’s programs are more likely to be focused on muscle definition. To fully accomplish the aims of bodybuilding, training needs to be accompanied by a very specific nutrition schedule. Is a bodybuilding program good for ultimate? Well, do elite performers in comparable team sports like football or soccer look like bodybuilders? No, they do not. Bodybuilding is clearly a different goal than athletic performance. That’s not to say that bodybuilding protocols won’t help your ultimate performance at all, as we’ll see below, but it’s certainly not the best choice. What are the benefits for ultimate players of bodybuilding programs? Any type of strength training will make you stronger. Doing a bodybuilding type protocol will make you stronger and more durable. You will likely develop good strength endurance and this will lead to feeling better at the end of long weekend practices and tournaments. Bodybuilding programs usually include a wide variety of exercises. There’s always something fun and new to learn and incorporate into your training. Because these types of programs are high repetition, low weight with limited movement patterns, the risk of injury during this type of training is very low. A bodybuilding or general strength type program is an excellent place for people to start getting comfortable in the gym environment. Bodybuilding programs suffer from the types of exercises selected, which tend to be more isolation exercises instead of compound lifts. This means the nervous system is not being trained to move in ways that transfer to athletic movement on the field. There will be less adaptation of the small stabilizing muscles which are used in functional strength training. These are the muscles which will help you maintain good movement patterns even when you’re tired. For this reason, bodybuilding programs will do less to lower your risk of injury while playing than functional strength training programs. Since these protocols are so popular, it’s worth noting explicitly that most magazines and strength training books targeted at male audiences will favour bodybuilding exercises and protocols. This is because it is assumed that the goal of most men is to build muscle mass. These workouts will not deliver the desired improvements in athletic performance needed for ultimate. 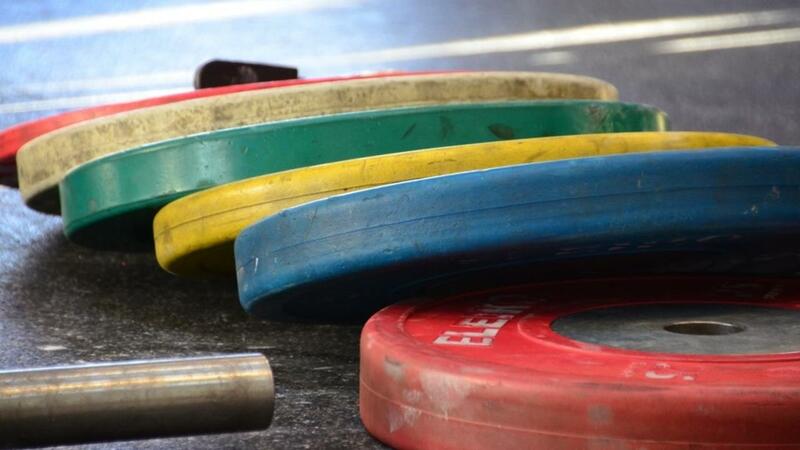 Want to learn more about the most effective strength training for Ultimate? You're reading here about programs that aren't specific to Ultimate, and why they won't give you the best result. Join our mailing list and we'll teach you a few workouts that demonstrate best practice for training for Ultimate! Are 5/3/1 or StrongLifts 5x5 good training programs for ultimate? What are 5/3/1 and StrongLifts 5x5? Both 5/3/1 and StrongLifts are programs designed to build pure strength through big lifts. Wendler’s 5/3/1 rotates through the bench press, squat, deadlift, and overhead press. StrongLifts is a 5x5 (5 sets of 5 reps) program that rotates through the bench press, squat, deadlift, overhead press, and barbell row. If you consider strength training as a spectrum from “strength endurance training” to “max strength training”, 5/3/1 and 5x5 protocols both sit on the max strength end of the spectrum. While bodybuilding is more toward the strength endurance end and will not increase your 1 rep max (1RM), these programs will. These protocols are similar to many powerlifting protocols. Both focus on high weight, low repetitions and plenty of rest between sets for full glycogen restoration between sets. Ultimate players often have trouble with this type of protocol because it is very different than most general fitness type programming. Training sessions are intense, but very short. You will probably not feel tired during or after this type or training session. What are the benefits of 5/3/1 or 5x5 as training for ultimate? These programs may well have their place in an off season ultimate training schedule. High weight, low repetition protocols are great for building up pure strength. If you follow up a program like this with the type of work required to train the body to recruit this strength quickly, this will give you the power you need for jumping higher and accelerating faster. Off the programs we’re looking at here, these protocols make the most sense specifically for parts of the off season. In The Ultimate Athlete Project, we use our high weight, low repetition protocol (some sets of 5, some sets of 3) during the third phase of our off-season training. We do this after we have done some movement quality and single leg strength work. Even in off season three, we maintain some unilateral work in the programming for maintenance because single leg strength and unilateral movement patterns are so important for athletic performance and injury risk reduction. We want to remain prepared for single leg movement patterns all through the year, especially since most folks have occasional league games or tournaments even in the off season. What are the limitations of pure strength training? There are a few shortfalls when it comes to the applicability of these programs to ultimate training. The first is that they do not include any single leg strength (unilateral) exercises. So it’s not a protocol you would want to use all year long. Because you will be using heavy weights, it’s important that you have good form in all of your lifts. Executing a dead lift incorrectly can have long term consequences for your back. Having training partners is a good idea for safety and so that you have someone keeping an eye on your form. You may also find there is a psychological barrier about lifting heavy weights. It can feel a bit frightening to have a lot of weight on the bar. Having training partners can help you feel more confident and safe in attacking higher numbers on the bar. To get the most from this type of program, you need the right balance of being safe, yet assertive. This mentality can be difficult to achieve in isolation. Are circuit training, Bodypump, P90X, Bootcamp, HIIT, or CrossFit good for ultimate? Circuit training is doing one exercise after another with little or no rest in between. Other similar protocols, which I’ve grouped together here, make use of circuits, intervals, or high repetitions of weighted exercises. These programs generally contain a large number of exercises and are often done in group environments. While there are endless variations on these themes, the purpose of these programs is to help people get in shape, enhance body composition, and provide an experience that keeps them coming back for more. What are the benefits of circuit or interval based programs? These programs provide a lot of variety, since they are designed to keep things interesting. These are good programs for getting in shape if you need a group environment for motivation. Circuit training is an excellent protocol if you are trying to decrease your body fat percentage or lose weight. Many ultimate players get introduced to the gym with these types of programs and then come to us when they plateau or just want to get serious about their training. They realise that the general fitness improvements provided can only take their athletic performance so far. Circuit training trains the muscles to adapt to an acidic environment and to use lactic acid as a source of fuel. In The Ultimate Athlete Project, we use some weighted circuit training in our preseason phases for strength endurance. Interval training is an excellent way to elicit cardiovascular adaptation in less time and so we do use interval training as the basis for most of our conditioning work. You can learn more about why we use interval training and why it works in An Easy Conditioning Plan. What are the limitations of Crossfit, Bodypump etc? Because circuit training does not have you lifting heavy weights, strength gains will be limited. Circuit training and general fitness programs often claim to improve everything at once. But this works only for a short while, bringing you up to a reasonably low baseline in every area that may not translate into improved athletic performance in ultimate. Very soon, you’ll need more focus in order to elicit adaptations in strength and power development. What is the best strength training protocol to improve ultimate performance? No single program offers the adaptations required for improved athletic performance in a sport like ultimate frisbee. This is why the Ultimate Athlete Project combines various protocols throughout the course of a season-long training plan. In the off season, we first focus on movement quality and then build a foundation of strength using high weight, low repetition lifts, as well as single leg work. As the season approaches, the focus shifts towards using this strength quickly to produce the power required for explosive plays. During the season, we work to maintain these improvements while keeping the total training load at a level that does not increase injury risk. The off season is the right time to focus on building a base of strength and power. Playing less frequently during part of the year is important to your athletic development for several reasons. Time: While you are playing less, more of your training focus can be in the gym working on your athleticism. Competing demands: The body will be more easily able to adapt to strength training without the competing demands of endurance work (including playing). Balance: Reducing the volume of playing and throwing to focus more on training allows your body time to recover from various highly asymmetrical movement patterns of ultimate. Taking time to recover more symmetry of hip and shoulder function will further reduce your injury risk in the coming season. For those of us in North America following the US club season, the colder months provide a natural off season. If you are in a place where playing all year is common, consider how a few months of lower playing volume could help your game in the long run. For newer players, the benefits of playing as much as possible for skill development may outweigh the benefits of taking time for true off season training. But for more experienced players, focused training for athletic performance becomes more important the less you can rely on your general fitness. Athletes often find their training needs will change as they get older—a subject I'll be exploring on this blog soon. Want to stay up to date on the best ways to improve your ultimate performance? Hit the button below to subscribe to our mailing list for regular updates or sign up to the Ultimate Athlete Project to start your training now! You can also check out the articles below to learn more.